The green board is one of the most critical elements in the house regardless of whether you are re modelling or constructing the new bathroom. This is the reason why it is advisable to have the general know how on how and where it is appropriate to install it. Instead of using the standard gypsum board, the green board will surely sort out the most place of the house. It is a water-resistant gypsum board that has been in the industry for decades, and one of the more reliable gypsum board when it comes to durability. The fact that this board comes with the more normal gypsum core which is usually located in most of the drywall in our homes is an indication enough that this board can be installed anywhere in the house. One main difference when you compare to the other boards is that the green board has a much thicker coating by wax which is good when it comes to water resistance. Popularly known by the name green board, it can be easily separated from the gypsum with the green tint exterior. The board is much thicker than the standard drywall, it comes with a measurement of about half inch and 5/8 thickness compared to quarter inch and half inch thickness. The wax that is filled on the board is what makes it thicker than the standard board. 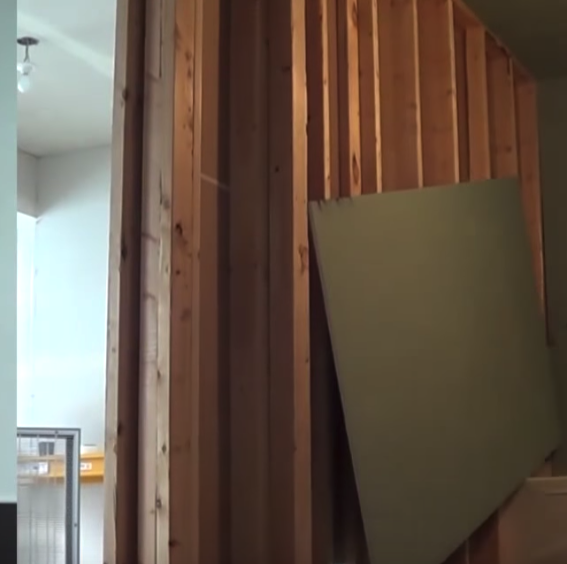 One of the major drawbacks about the green board is the fact that when it gets wet, it is far much weaker than the standard drywall, that is why the thickness comes in handy. This should not be a major worry as long as the board is installed properly because of the moisture resistance. As earlier mentioned one of the major drawbacks of this Board is that it cannot withstand harsh, wet weather. It is designed to be used in a place where there is enough air and humidity and not the shower or outdoors. In a nutshell, it is proper to categorically state that green board is not waterproof but just very good in resisting moisture than the standard drywall. The green board drywall same as the standard drywall is not fireproof at all. Even though, there is other fire-resistant drywall known as the Type X that is much more ideal to be used around any fireplace. The said board can be easily confused with the green board because of the same size. How to install the green board? 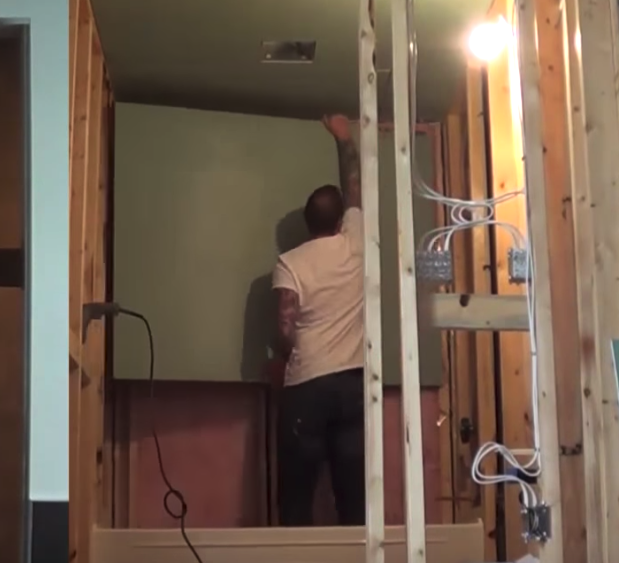 It is straightforward to install the green board if you are familiar with installing any other standard drywall. It is something that you can do it yourself (DIY), as all you have to do is ensuring that the straightedges are secure and the outer coating is scored using a fresh blade. This will make the whole process of snapping the board to the preferred size. Installing the green board is much more the same as installing any other drywall, that is done by driving them in the board and study them behind. A lot of caution has to be observed so as not to go through the entire paper coating as you will also notice that the gypsum core does not hold much faster meaning that it is not very strong during installation. The staggers joints should be such a worry as they make the whole thing stronger and much more reliable in the end. A lot of care and attention has to be adhered to when installing the green board on the ceiling. The reason is that you would not like to get the end result that has some sagging issues. That is why it is also advisable to fasten the board every after 12 inches, unlike the usual 16Inch gap. In order to get the best result, you should always strap the ceiling first. The common practice to ensure that the whole thing is properly secured by using the 1inch by three-inch lumber at the same time fastening to the joints. Regardless of the fact that many inspectors are not for the idea of installing water-resistant drywall on the bathroom ceiling, it is not such a big deal after all. The main reason behind their advice is because the green board is not very strong when exposed to a lot of water and a bathroom is a place where a lot of activities involves water. There is a lot of measures that have to be observed in case you have decided to install the green board in the bathroom despite all the moisture it might collect. The best way to get the green board on the ceiling and achieve a very good result is by adding blocks to make it easy to fasten with the nails and screws. When you have properly installed the green board the final, and the most important bit is the finishing. This can be done very well by mudding and tapping and at the same time applying a good layer of protective paint. When finishing it is advisable to coat the seams and holes that have been made by the screws. A putty and drywall tape can also be used to bring out that very nice finish. The number of coating that should be applied should not be a minimum of two coating, the main reason behind this is to enable the whole painting to blend nicely. Sanding of the few rough edges and applying prime should be the last stage of ensuring that your finish work is not only beautiful but durable at the same time. These two products are very different, and it is a surprise as to why the two of them are always compared together. As for the cement board, it is the most preferred board when you want something that will work correctly in the bathroom which is not the case with the green board with the help of the moisture barrier. Green board is most preferred in places of the house that has very little chance of getting all wet and dump. This board does not need moisture barriers at all. Compared to the Cement board green board can be used in various place of the house as long as you know how to handle them properly. It also works very well in damp places of the house to curb the problem of mold and mildew.